No matter how big or small, your contributions to FATE matter and can make a world of a difference in the fight against addiction. Addiction is an enormous threat to Americans and it will take many of us banning together to fight it. Help us make those numbers decrease, rather than rise. FATE’s mission is to educate as many people as possible. Your donation supports this initiative, funding many of our different programs we provide free of charge to schools and businesses across Oklahoma. We all have a role to play in ending substance abuse. Addiction doesn’t discriminate, because everyone has been affected by it in some way. Take a look below to see how your donations directly affect FATE programs’ success. We want you to know exactly how your money is being used to win the fight against addiction. Our programs are the backbone of FATE. We provide a range of programs that serve all ages, from young elementary kids and high school athletes, to business professionals and everyone in between. By providing funds, you are directly helping FATE improve our resources so we can provide a relevant and impactful message. 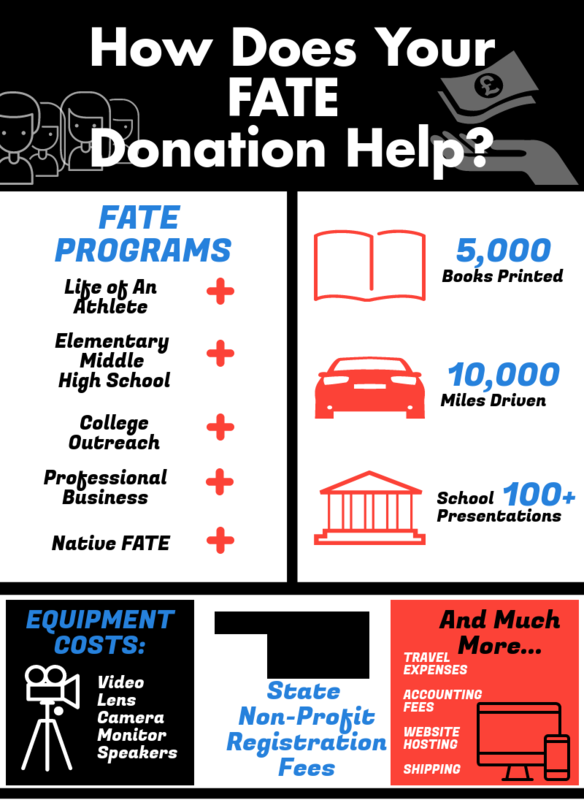 FATE is a nonprofit, so any equipment costs are completely covered by donations. FATE hopes to stay relevant with up-to-date equipment and technology so the FATE presentations can leave the biggest impression. It would be detrimental to have technical difficulties take away from this lifesaving material. FATE needs new projectors, loud speakers, speaker stands, HDMI cables, and more to be able to put on our best presentations. Promotion is vital for FATE to engage with people, spread awareness, request presentations, and share the message. FATE spends funds on providing an easy-to-navigate website with fresh educational content, as well as social media. FATE provides a free copy of our founder’s book, What’s Your Fate to every donor, which incurs related reprinting and shipping costs. 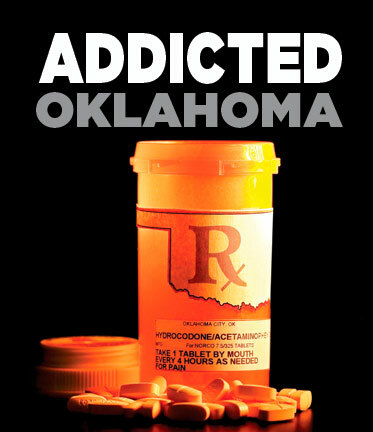 FATE travels across Oklahoma and needs funding to pay for these efforts. Other expenses include state non-profit registration fees, accounting fees, insurance, website hosting, and more. Aside from funding FATE’s mission of ending addiction, donating to FATE carries an added bonus of reducing your tax burden. Donations must be made by December 31 to be tax-deductible in the current year. Fighting addiction is most effective as a team, and we would be honored to have your support in reaching and educating Oklahomans, and preventing future addictions. Donate today.